A radiologic technologist is a healthcare worker who specializes in imaging tests like x-ray, MRI and CT scans, performed primarily in diagnostic capacities. Some radiologic technologists will specialize in certain disciplines related to specific areas of the body, like mammography, for example. Radiologic technologists will have close working relationships with the radiologists who interpret the images. In order for doctors to be able to do their jobs, the technician has to be thorough and accurate in their imaging technique. They’ll also be responsible for keeping patients as comfortable as possible during their tests, which can sometimes be frightening and stressful for the patient. Radiology is a full-time job that comes with a fairly high median income. Radiologic technologists can steadily increase their income over time by developing specialties, and by acquiring more experience over time. You can use the skills mentioned here to help you in your job search. Use them in your resume, especially in the descriptions of your work history. You can also use them in your cover letter to describe prior work experience. Consider mentioning a few of these traits in order to give examples of how you’ve demonstrated them in prior work. You can also use these words in your interview as well. Come prepared to discuss the top skills listed here, and be ready to share examples of how you've exemplified each. Each job will require different skills and experiences, so make sure you read the job description carefully and focus on the skills listed by the employer. Here's a list of the three most important skills employers look for in a radiologic technologist. As a radiologic technologist, you’ll be responsible for several layers of communication with both patients and colleagues. Because there’s not any one specific type of person who might need health-related imaging, you’ll be interacting with a broad and diverse cross-section of the population. You’ll be required to explain procedures to patients, and because you’ll be encountering all sorts of diversity, you’ll need to have an agile communication style so that you can communicate effectively with anyone who crosses your lab or table. Another critical part of the job is understanding that patients might be anxious or scared. For some, they could be enduring the most frightening possible prospect. They could be seeing you on the worst day of their life. 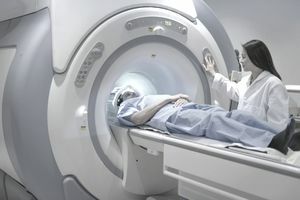 It won’t always be so dire, but even under the best circumstances, medical diagnostic imaging is typically uncomfortable, awkward, or inconvenient for the patient. You’ll be on the front line, standing between the patient and the answers they seek. You’ll have to manage stress (theirs, as well as your own), express compassion, and remain calm when patients become agitated or upset –– all while doing your job well. In order to calibrate and maintain radiology equipment, a radiologic technologist will have to be comfortable with their technology and gear. Each machine’s model will be different, and as a result, learning and re-learning new technology will be part of the job. A technologist will also have to understand how to adjust radiation exposure time and intensity. These factors impact the health of the patient and maximize image quality. Most training courses will provide guidelines and instruction for how to get to know the equipment, but it will be up to the technologist to expand their knowledge, and to master the art of handling their medical imaging equipment. Along with learning about the technology and equipment required to be successful, a radiologic technologist will also learn a good deal about examination methods, human anatomy, safety around radiation protection, and more about the basics of caring for patients. A successful radiologic technologist will be comfortable interacting physically with patients, will be comfortable with the human body, and will be confident in their ability to position patients accurately on the table in order to use radiation as safely as possible. Becoming a radiologic technologist is a smart way to secure a long future of healthy employment with hospitals and related medical facilities. Employers are likely to seek out technologists who are socially competent, compassionate, and emotionally responsible enough to communicate effectively with patients. They’ll also look for candidates who can balance these interpersonal skills with mechanical and anatomical know-how, for the perfect balance. Required skills will vary based on the job for which you're applying, so also review our list of skills listed by job and type of skill.